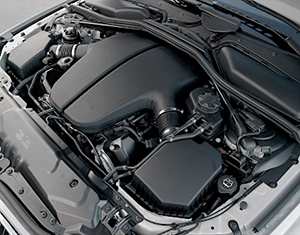 Vibrations during the engine operation can occur due to various reasons, such as: contamination of injector nozzles, absence of spark in the cylinder, compression variations in the cylinders, stuck (gummed up) piston rings, wear of engine supports (support cushions) or of the clutch disc. The engine misfires (malfunctions in the feed system). Probable reason: contamination of injector nozzles. 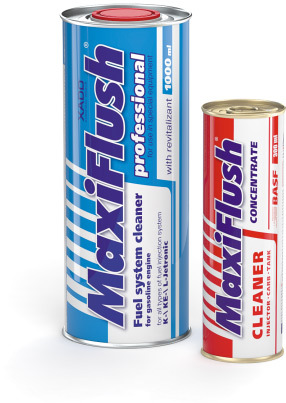 We recommend an injector cleaner — MaxiFlush fuel system cleaner (Gasoline). The engine misfires (unstable operation of one of the cylinders). Probable reason: absence of spark in the cylinder (malfunctions in the electric circuit). We recommend to ensure the failure-free operation of the spark plug. Unstable engine operation due to compression variations in the cylinders, stuck (gummed up) piston rings. Decarbonization of piston rings. Wear of engine supports (support cushions). We recommend replacing the engine supports. Wear of clutch discs. Vibrations are experienced by engine start and acceleration (disc slip). We recommend to repair the clutch and to replace the worn-out parts.